Have you ever wondered what those foreign laundry symbols mean on the tags of your clothing? Maybe you’ve found yourself staring at the shelves in the grocery store reading bottle after bottle of laundry soap trying to decide which soap is best for your washing machine. Well wonder no more. This Laundry FAQ post will walk you through the ins and outs of the laundry world and leave you wishing you had a load or two that needed to be washed right now. What Do These Cryptic Laundry Symbols Mean? If you have ever taken a close look at the tags on your clothing, you’ll notice most come with symbols on them. No need to worry, these are not some type of alien writings, they are simply an easy way to know at a glance how to safely launder your garments. One of the basic symbols is one that looks like a wash tub with water in it. Inside you will see a temperature; this represents the best water temperature to use when washing the garment. Another symbol looks like a triangle with lines in it. This symbol lets you know to use only non-chlorine bleach on the item. If you see a square with a circle in it, check the number of dots inside the circle. This represents the suggested drying temperature for the garment; one dot meaning low heat while two dots represents medium heat. Do not iron articles of clothing that have an iron with an X over it on the tag. This means this particular item is not meant to be ironed. When it comes to laundry soap, all soaps are not created equal. The first and probably most important aspect of laundry soap you want to consider is whether or not it is regular soap or HE. Laundry soap that is marked HE, or high efficiency, is meant to be used by newer, more environmentally friendly washing machines that use less water than traditional machines. Generally speaking, you can get away with using HE soap in a traditional washing machine, but you cannot use regular laundry soap in an HE machine. Doing so may fill your laundry room with suds. These excess suds can also burn up the pump in the washing machine and cause a soap build up that can damage the machine as well. Play it safe and pass your extra regular laundry soap on to a neighbor when purchasing a new high efficiency washing machine. Will My Clothes Get Clean If I Wash Them In Cold Water? There are two main reasons people choose to wash their clothes in cold water; one is to keep them from fading and the other is to conserve energy by not having to heat the water. We’ve been told since we were kids that we needed to bathe in hot water in order to “kill the germs”, so how then is it effective to wash our dirty laundry in cold water? Given the fact that our washing machines these days are so advanced and that laundry soap manufacturers have developed soaps that are specifically designed for cold water washing, having to use hot water to clean laundry is quickly becoming a thing of the past. This is true especially when you consider that using cold water rather than hot to run laundry can save the average household close to $40 a year in energy costs. When you wash your clothes in a laundromat, make sure that you also verify the machine’s settings on this. What Is The Best Way To Keep My Whites Bright? Clothes, over time, may naturally become dull and yellowed a bit, however, there are ways to brighten up dingy-looking whites. First, try using an oxygen-based bleach mixed with warm water. Soak your garments over night in this solution and then wash normally the next day. You can even add about a half of a cup of distilled vinegar to the rinse water if you like. If this technique doesn’t work, you can add a bit of bluing to your white load. If you have never used bluing before, be sure to read the directions carefully and follow them to the letter. If all else fails, you can opt for using a chlorine bleach, but be very careful to check your labels for any bleach laundry symbols to make sure your garment won’t be damaged by adding bleach. 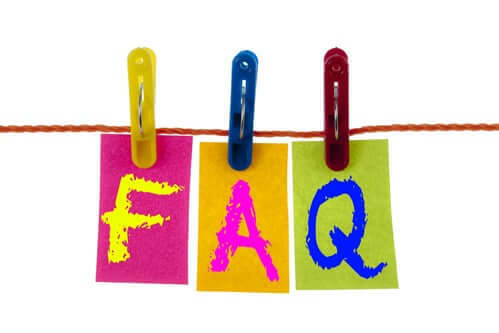 For more helpful laundry faq visit dream coin laundry blog.